Niedernhall is production location and headquarter of the Würth Elektronik group of companies. 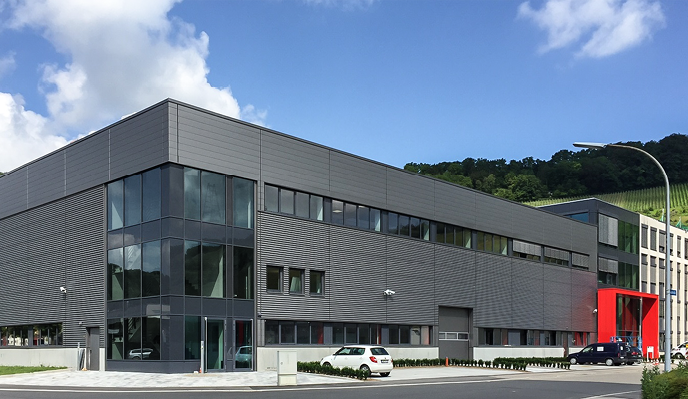 With its 172 employees, the Niedernhall administration is centrally located in the economically strong Hohenlohe District in the middle of the Kocher valley. The company has ideal connections to Germany's nationwide traffic network. From here, you have direct access to the A6, A81 and A7 autobahns and to the interstate highway 19. The Hohenlohe District - an economically strong location with tradition and future - has the highest density of world market leaders in Germany, measured by the number of inhabitants. In terms of many key figures this district, which is the smallest of 44 urban and county districts in the state of Baden-Württemberg based on population, has now attained one of the foremost positions. The Hohenlohe District has developed into an extremely dynamic and successful economic powerhouse. Art, theater (for children too), classical music, jazz, folk, blues, smaller-scale performing arts and cinema - if you're looking for culture, in Künzelsau you've come to the right place (capital of the Hohenlohe District, about 6 km from Niedernhall). As a leading producer of circuit boards in Europe, we are the partner for manufacturing complex circuit boards, rigid-flex and HDI technologies. Our employees work in the areas of production, sales and administration. To cover our needs for skilled employees, including from within our own company, we have a large number of training courses that are designed to meet specific goals. So we like it when surface coaters, production technologists and IT specialists - to mention just a few professions - apply for jobs here. We also offer various programs of study toward the bachelor degree (DH). After the reconstruction in 2015/2016, the production plant in Niedernhall became one of the most modern in Europe. The focus is on flex-rigid circuit boards, which are manufactured in a high-tech digital production line under clean-room conditions. See location at google maps.